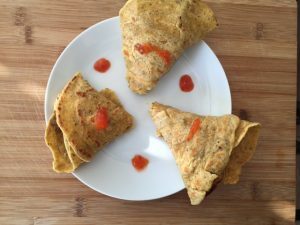 Besan Cheela or chilla is a savoury Indian Pancake made with Chickpea (garbanzo beans flour), here we are making cones out of this crepe and stuffing it with delicious mushroom filling. Enjoy it with sauce/chutney of your choice. These stuffed crepes are gluten free, vegan and quick to make. You can pack these in Kids lunch boxes or even quickly whip it for friends or family when they come over for a cup of tea. It is a great little snack to enjoy without any guilt as its quite healthy. Prepare the stuffing and set aside. Make Batter by adding water to gram flour and add in spices. Cook on hot skillet with a little bit oil until brown on both sides. Once pancakes are ready, make cones out of them and fill with the stuffing and serve with chutney of choice. I love Noodles and here i share with you a very easy and tasty Noodles recipe- I call it Masala Noodle bowl which i think is better than even Maggi. In a wok add oil and saute noodles and mix in spices and veggies. Squeeze in lemon and Serve hot or cold. Don’t forget to check out some of our favourite Noodles Recipes which are simple enough to be recreated at home quickly. Simple Tofu Manchurian Recipe | How to make tasty Tofu dish? Tofu Manchurian is a healthy, quick, vegan and flavourful dish that you can easily prepare at home and enjoy on its own or with rice, noodles or even quinoa. – Cut Tofu into bite size pieces. 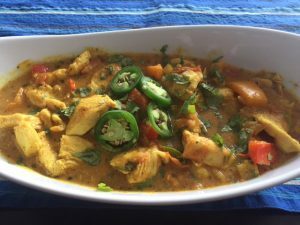 – Mix all marinade spices and soak Tofu in the marinade for atleast 10 mins. Longer the better. Tofu can soak in flavour from the spices. – Next when you are ready to cook, heat oil in a pan and fry tofu until golden brown and set aside. – In the same wok or another, heat oil and stir in Onions, ginger garlic, green chillies and salt and chilli flakes. Let the onions become translucent. Add in bell peppers, vinegar and soy sauce. Stir fry for few more mins and then add water ( in which we have dissolved corn starch). Allow the water to evaporate. Tofu will become glossy and gravy will thicken up. Garnish with green onions and serve with rice, noodles or quinoa.